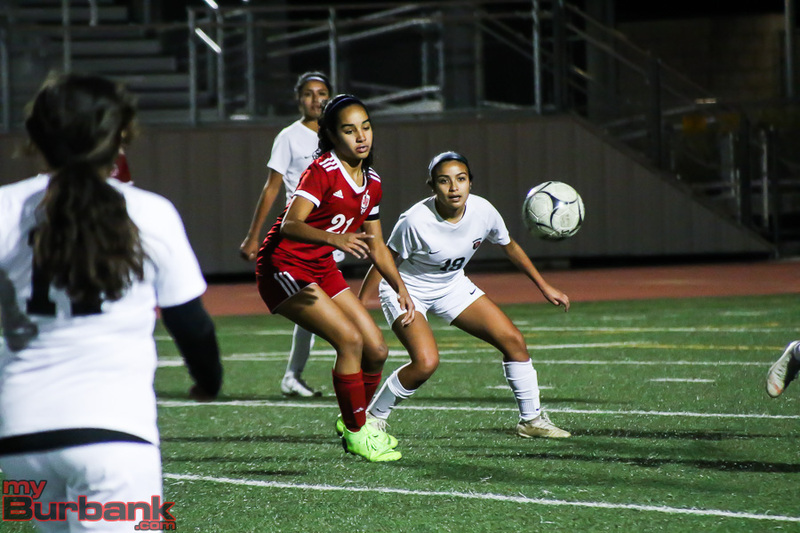 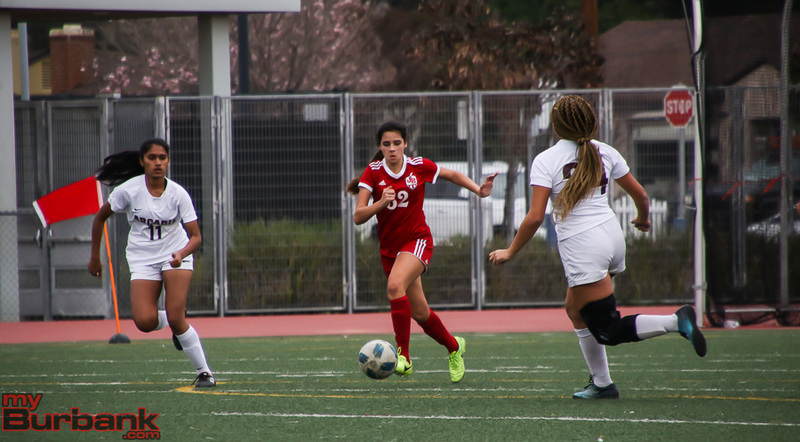 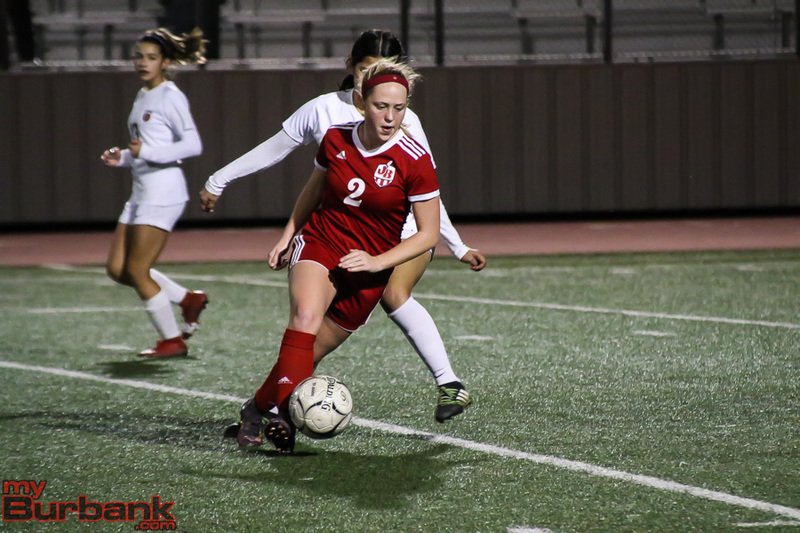 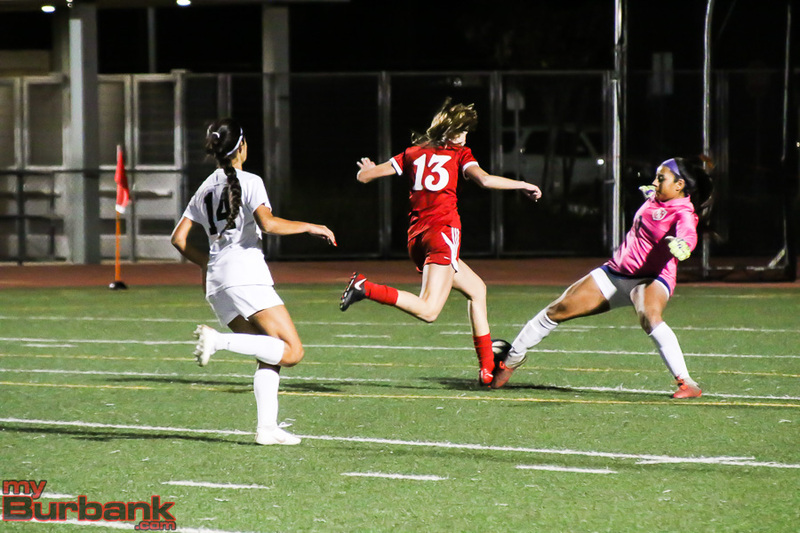 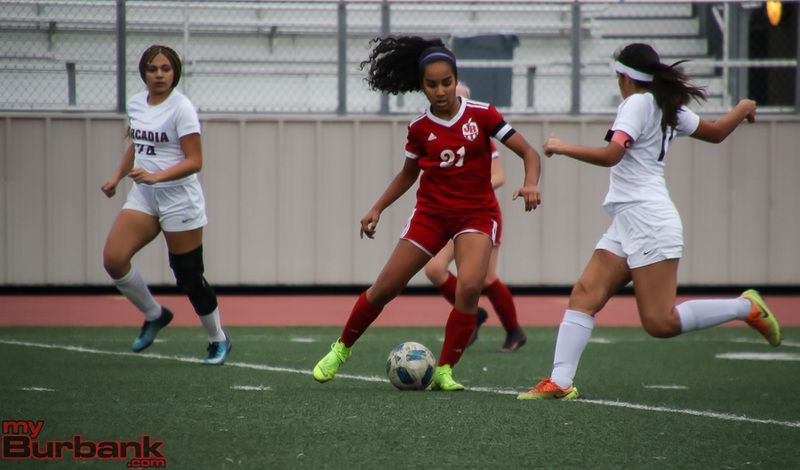 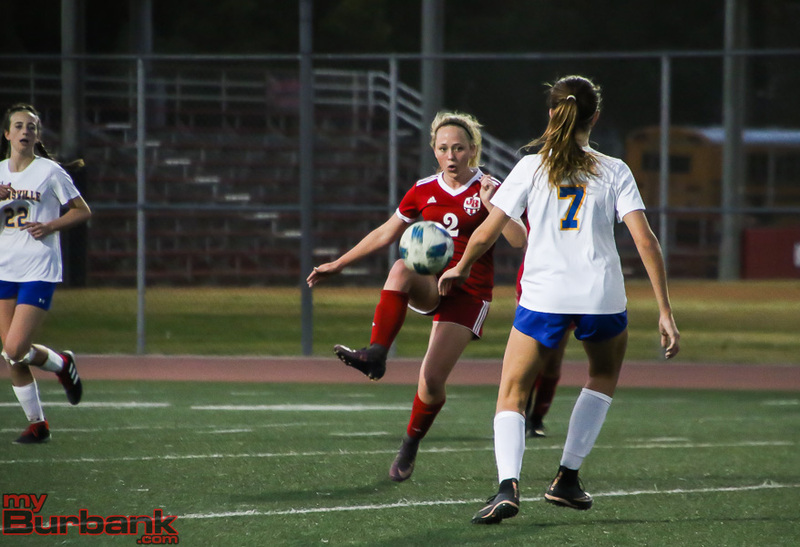 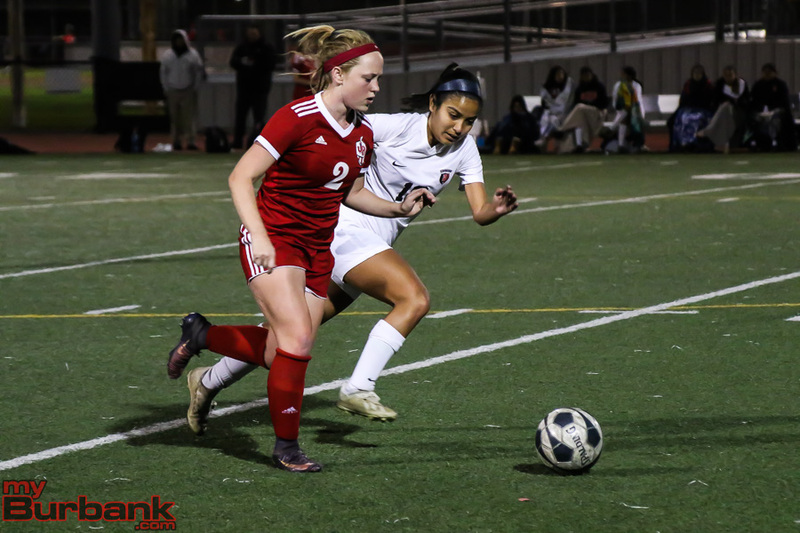 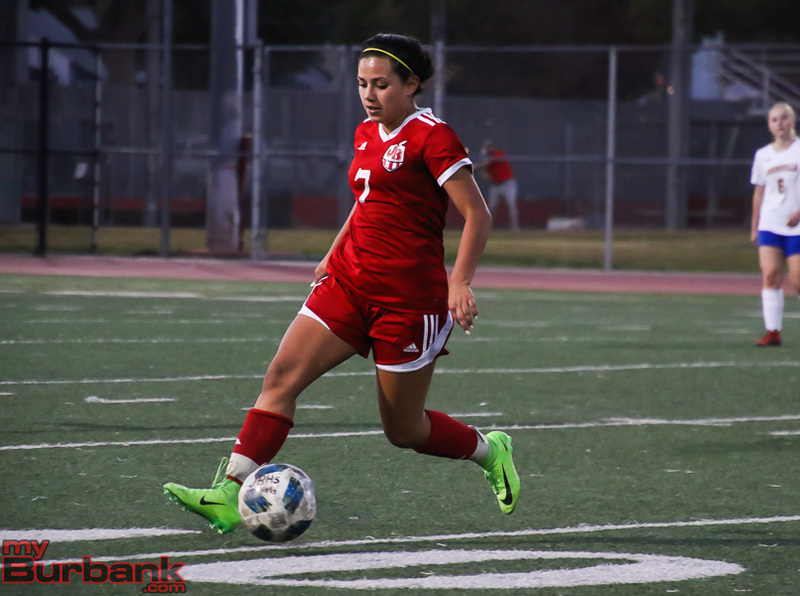 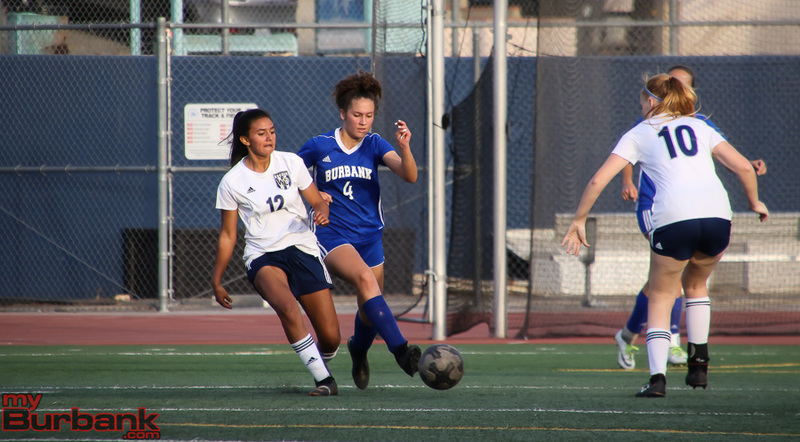 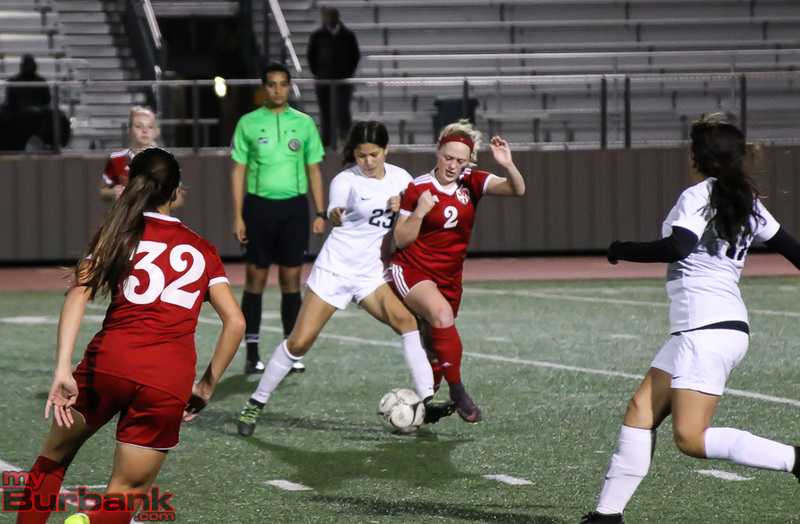 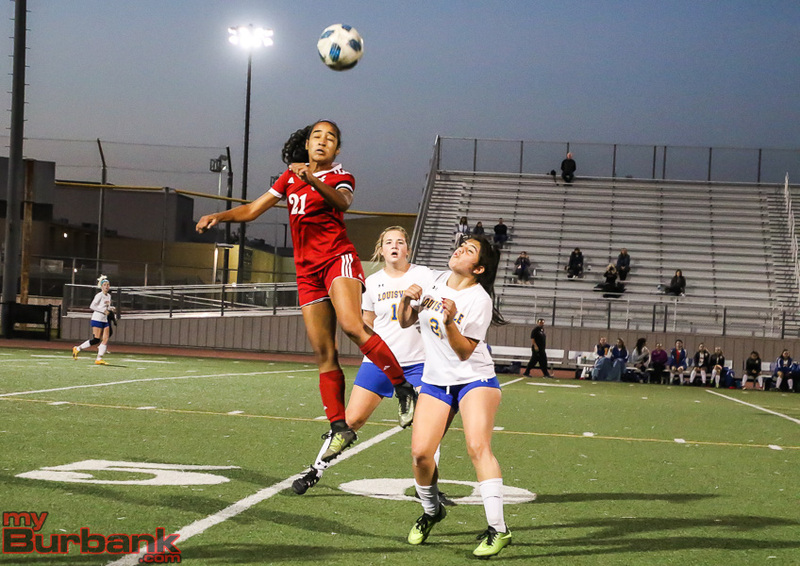 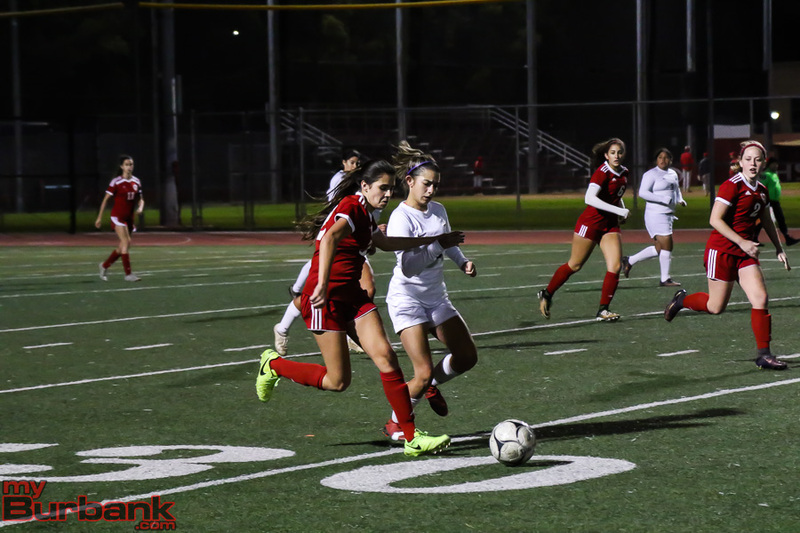 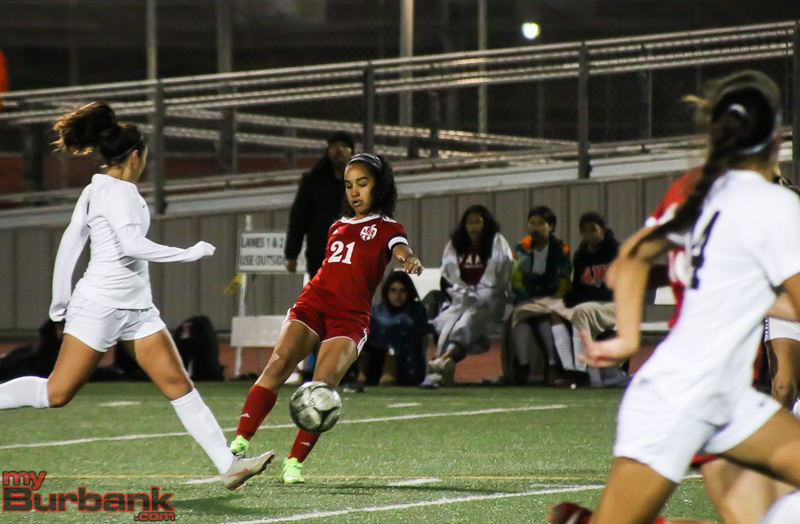 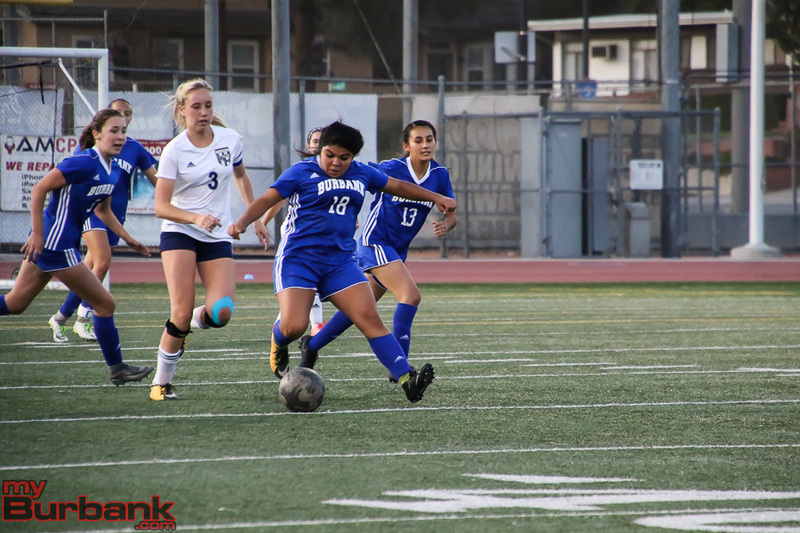 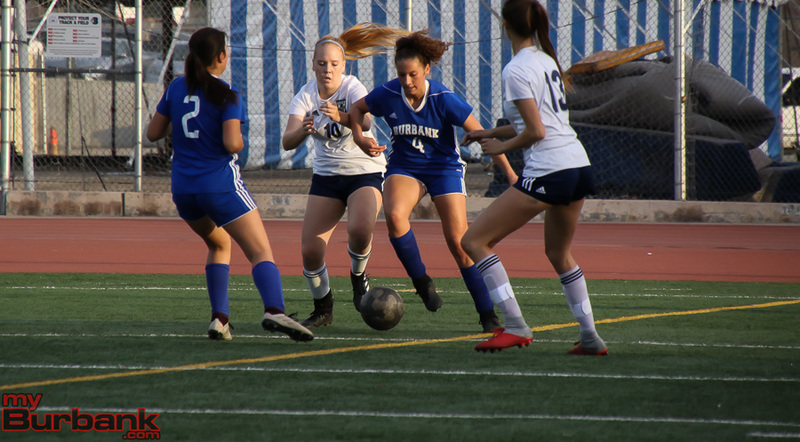 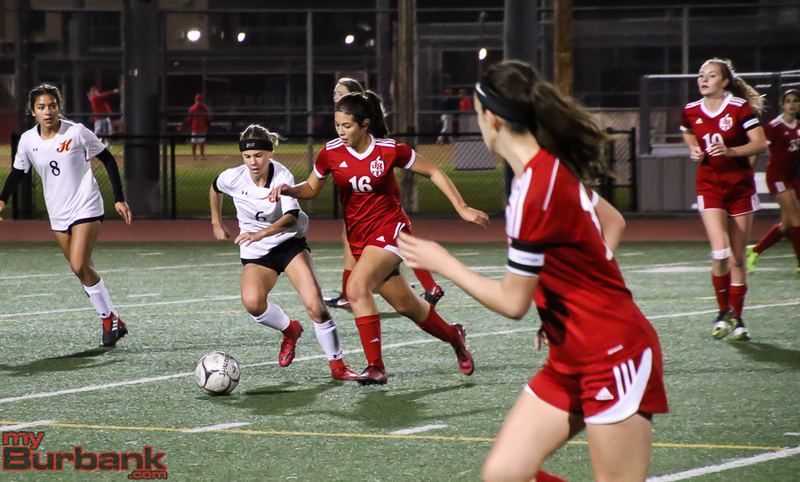 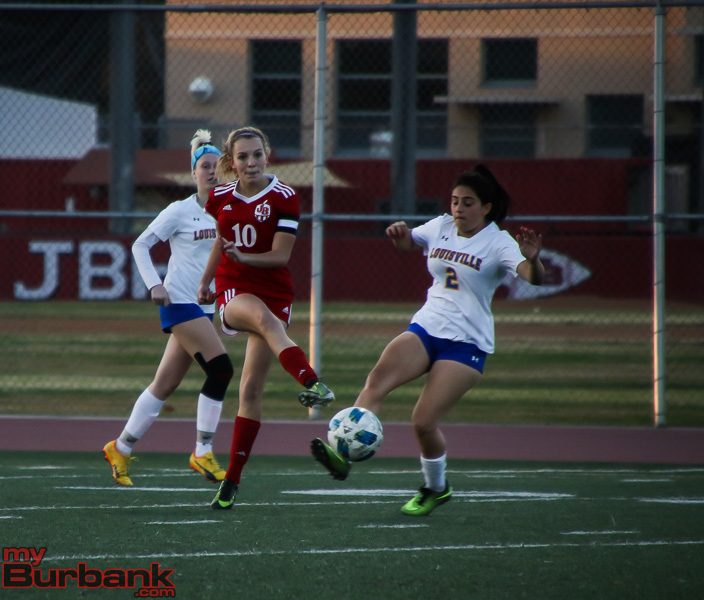 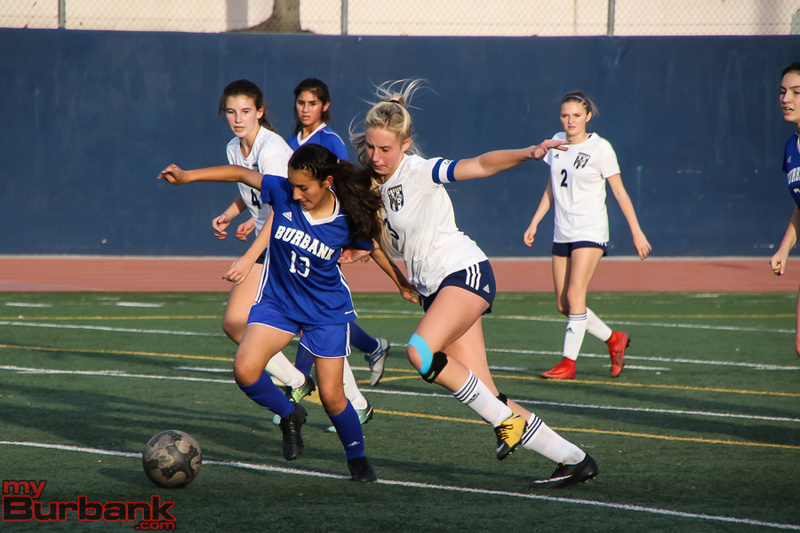 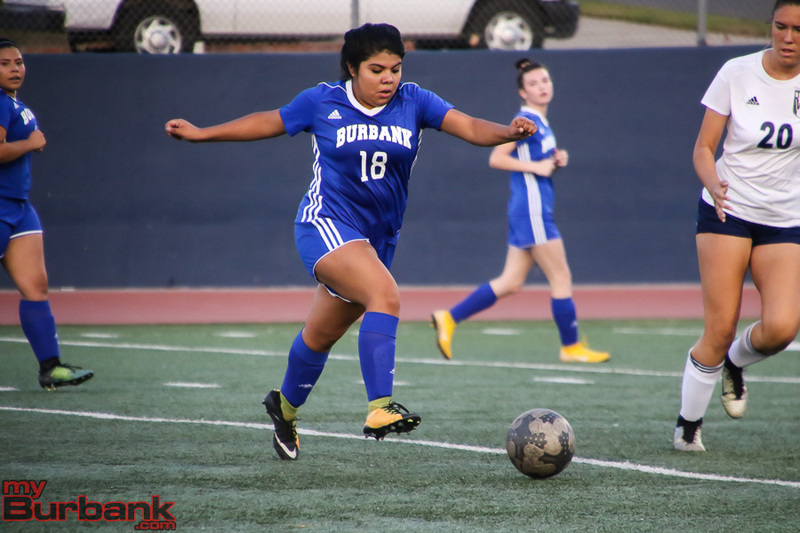 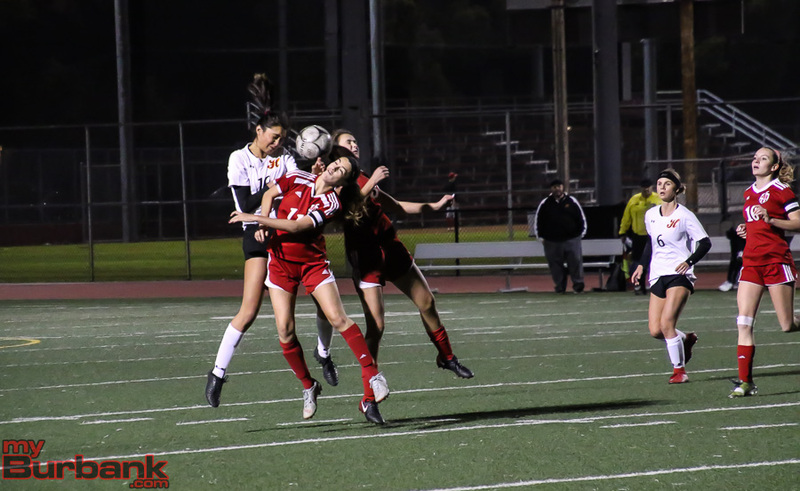 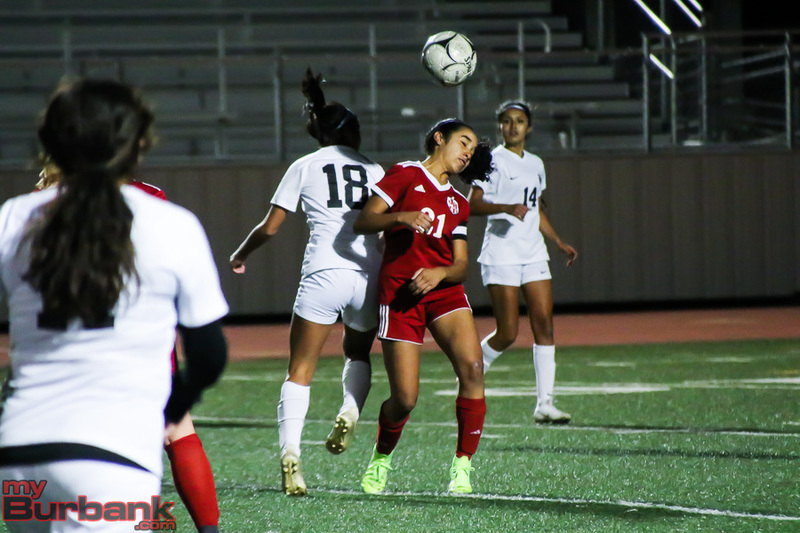 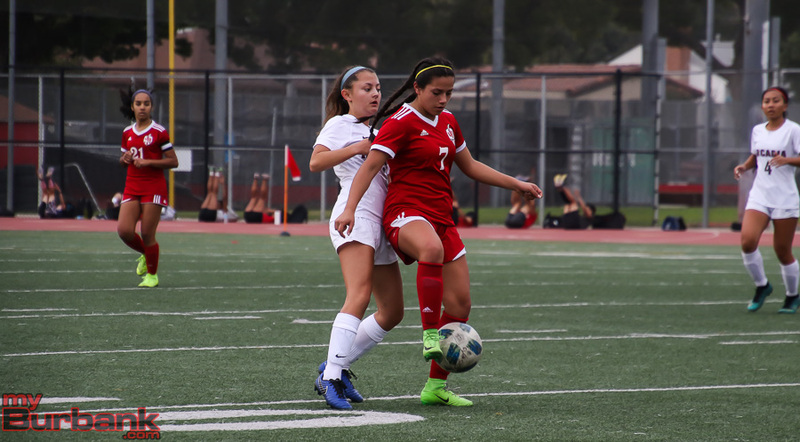 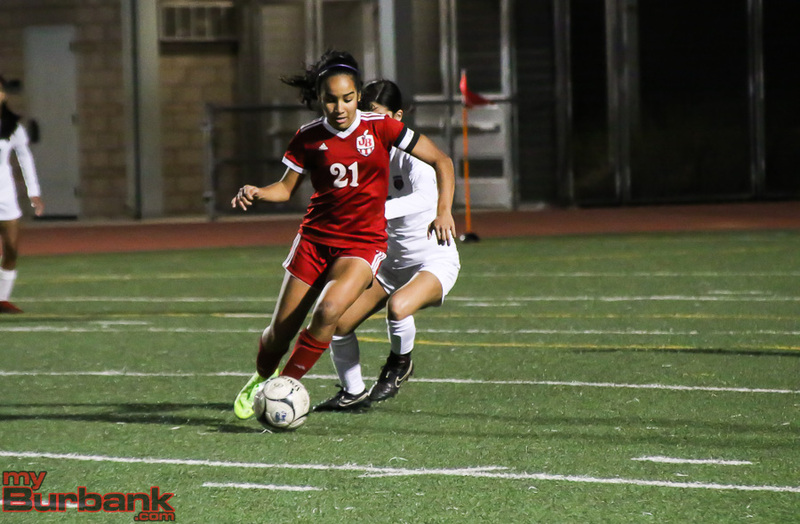 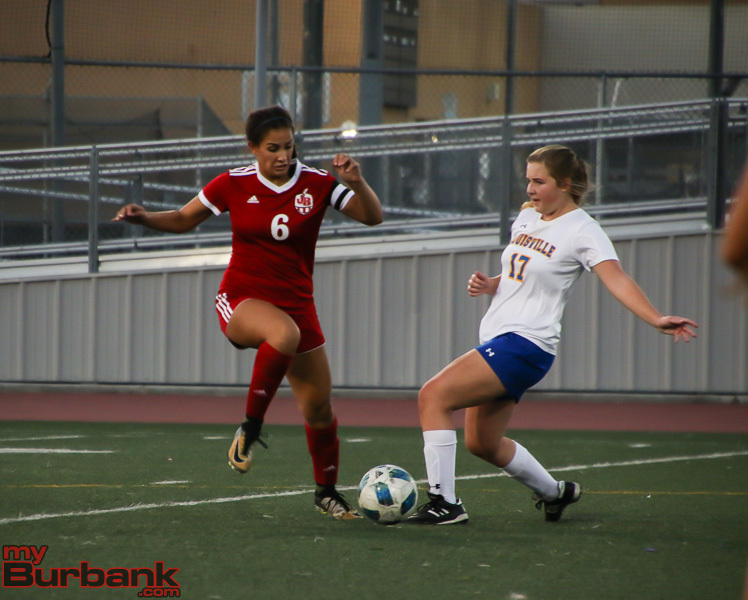 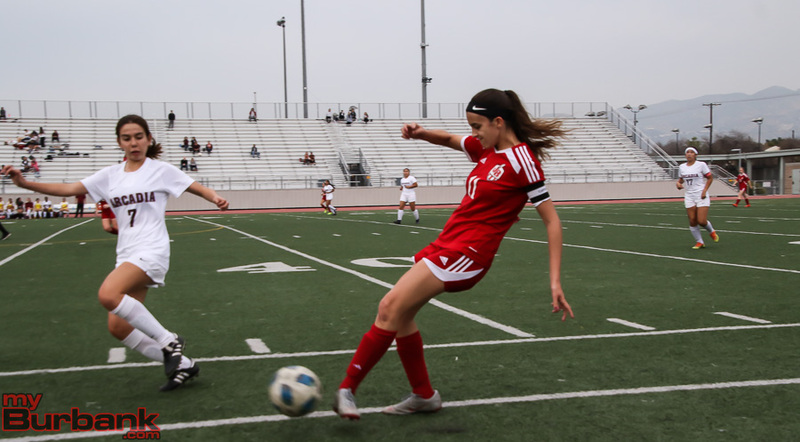 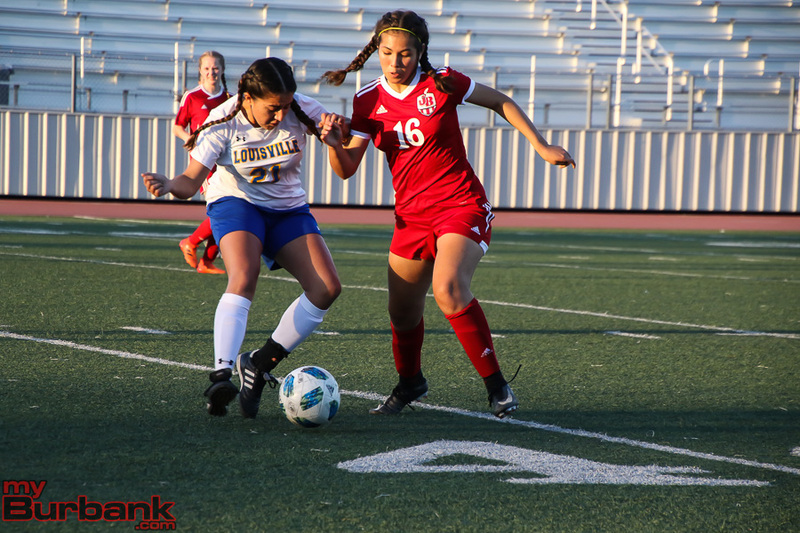 With much sitting on the proverbial table, Tuesday afternoon’s Pacific League girls’ soccer showdown between Burroughs High and Crescenta Valley, there was a sense the anticipated matchup was going to be extremely close and also physical. 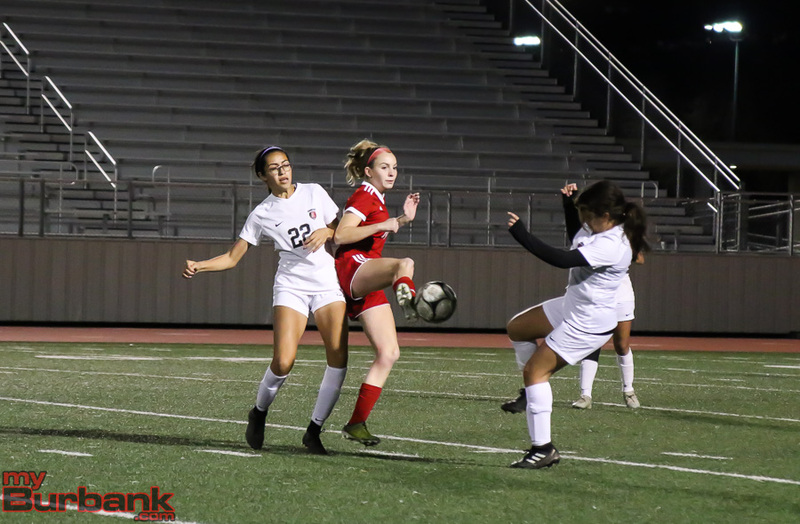 On both counts, it was and what occurred in the second meeting at Memorial Field between these perennial powerhouses was that one goal was scored and it came in the second minute by sophomore forward Lauryn Bailey, who knocked home a 15-yarder on key passes from senior midfielder Abbie Riggs and sophomore midfielder Lily Gonzalez. 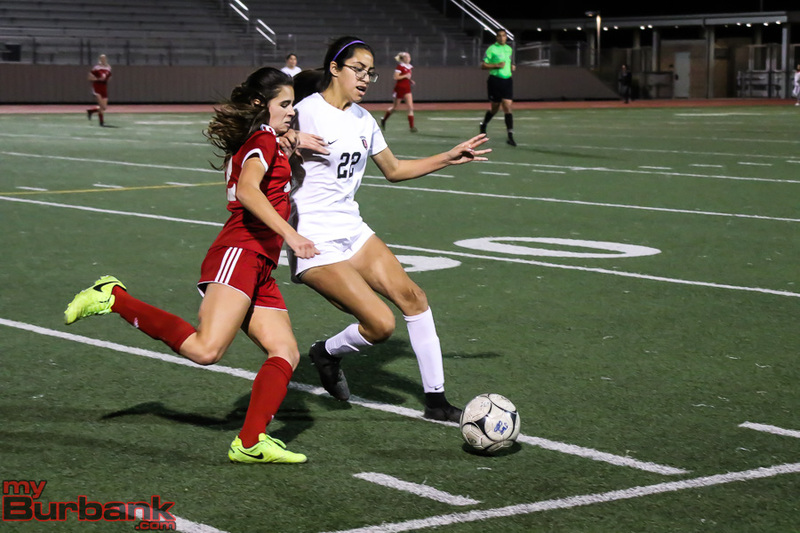 The first time these two faced off it was deadlocked at 2-2 on Dec. 11 and with a 1-0 win by the Indians, both are tied for the top spot in the league. 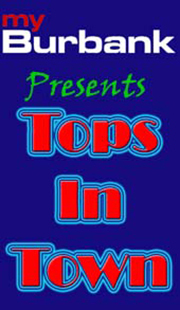 But if the Indians are able to claim the league banner, it will be the first time in 26 years. 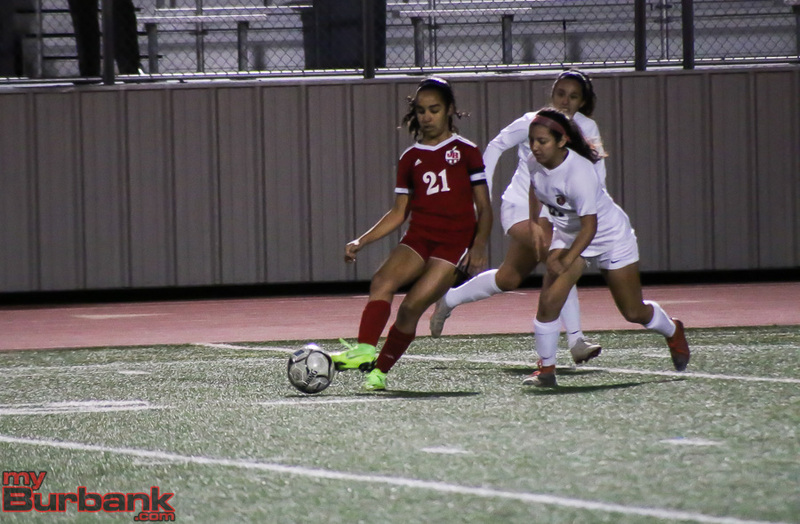 The Indians are 12-3-2 overall and 9-1-1 in league, while the Falcons are 12-4-3 and 9-1-1 in league. 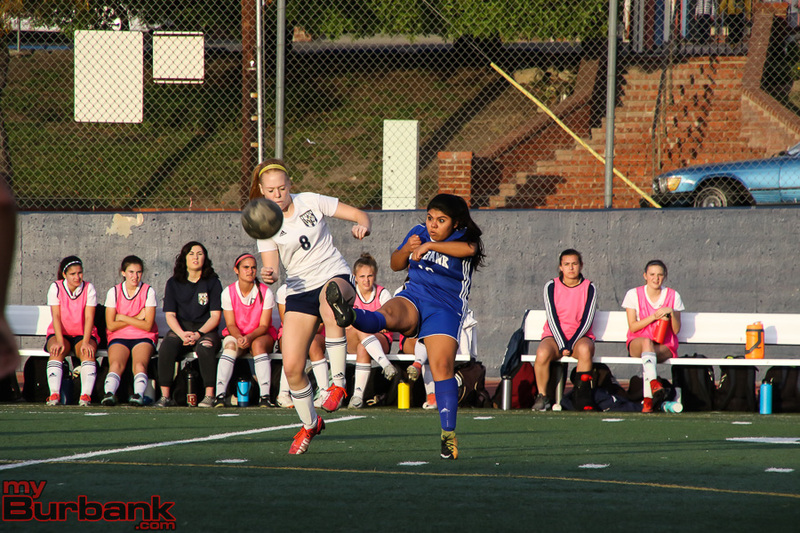 In the seventh minute, Crescenta Valley sophomore Chloe Ataya had a 20-yarder. 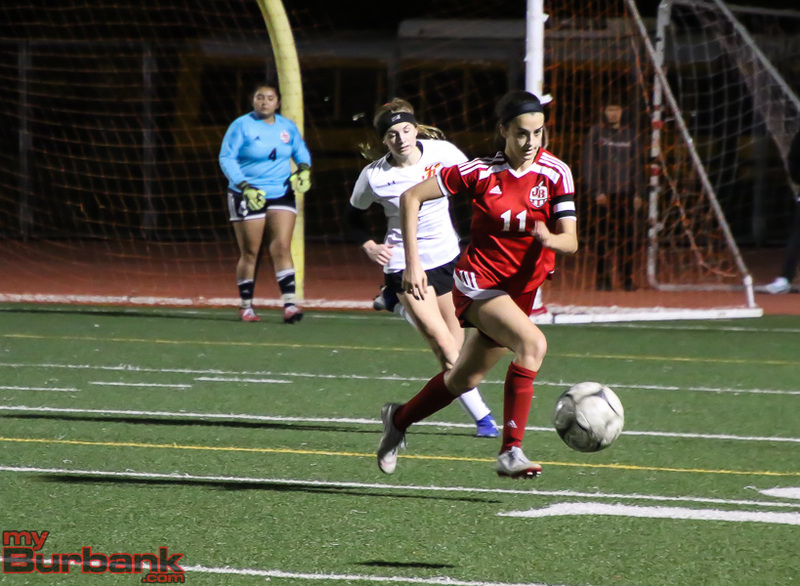 In the 10th minute, Gonzalez had a 25-yarder and in the 12th minute, Gonzalez added a 20-yarder. 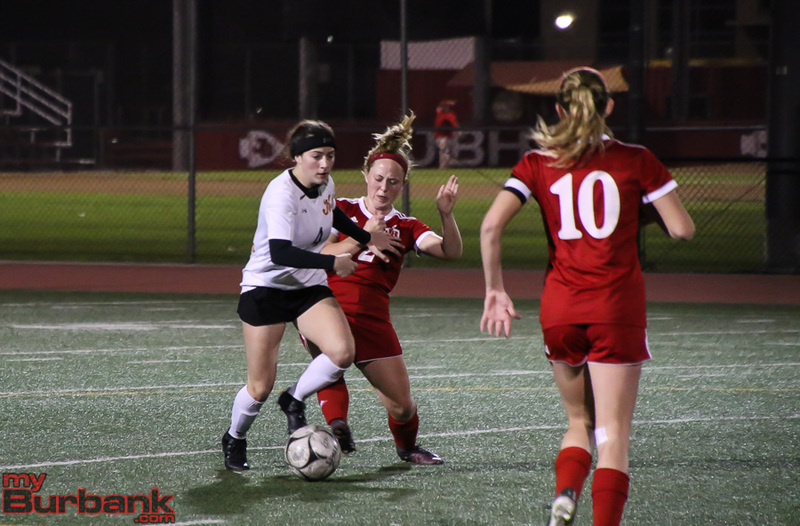 The Falcons had the next three kicks and they included a 20-yarder from sophomore Julianna Cheney in the 25th minute, Ataya’s 20-yarder in the 30th minute and Ataya’s 15-yarder in the 34th minute. 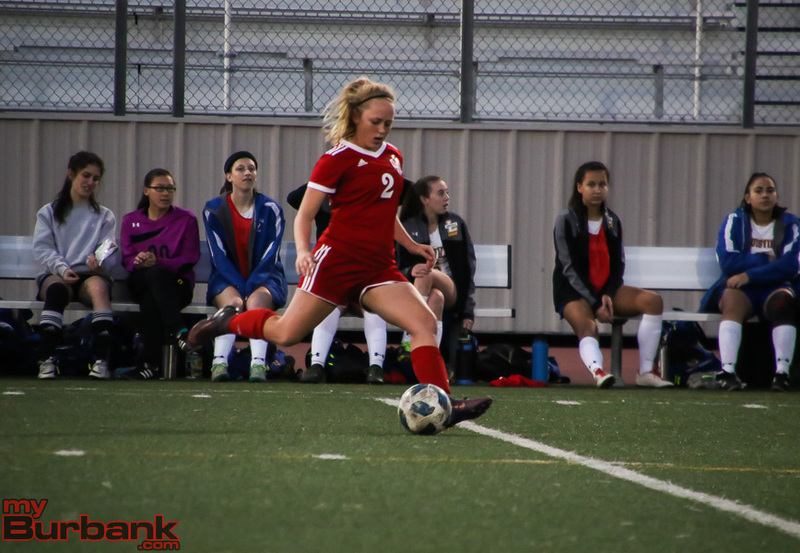 Gonzalez had a 20-yarder in the 36th minute, Cheney had a pair of 20-yarders in the 37th minute and 39th minute, while the Falcons’ sophomore Dana Ryan added a 20-yarder in the 39th minute. 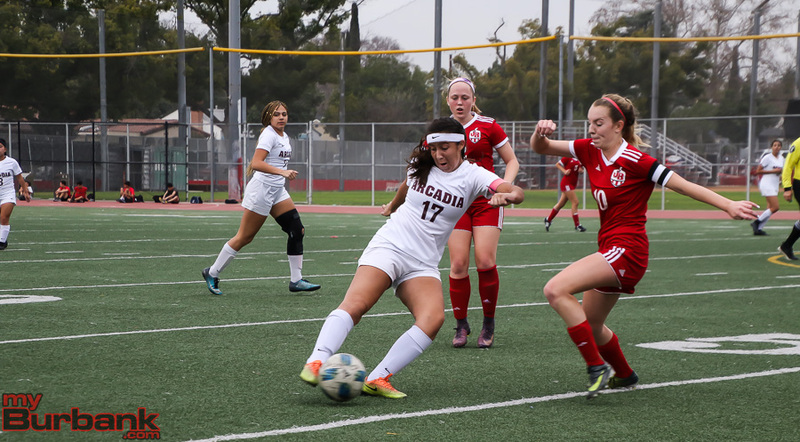 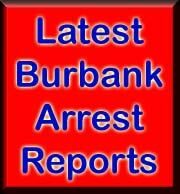 The Indians had the first three kicks to begin the second half as Gonzalez delivered a 20-yarder in the 41st minute and Gonzalez added one from 25 yards in the 44th minute, while Burroughs freshman defender Samantha Valencia had a 30-yarder in the 47th minute. 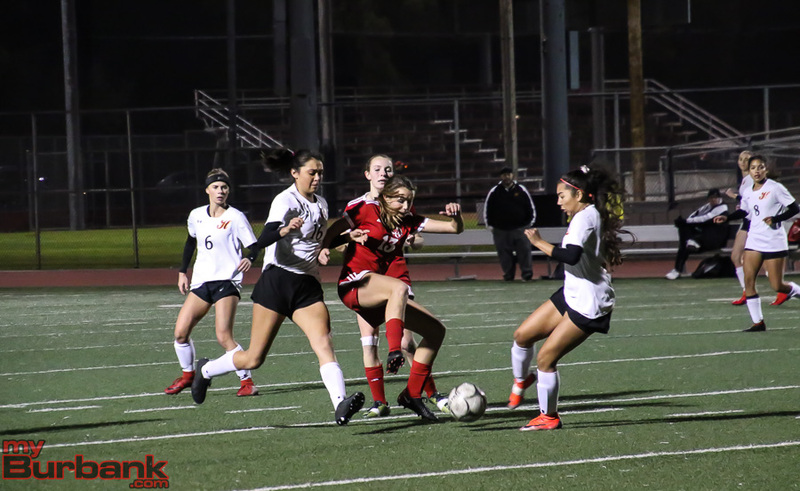 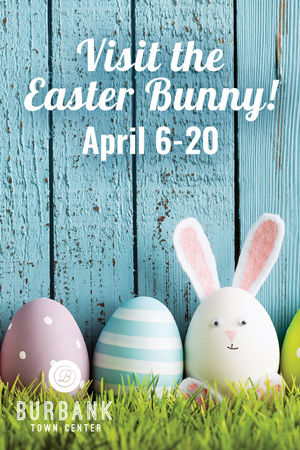 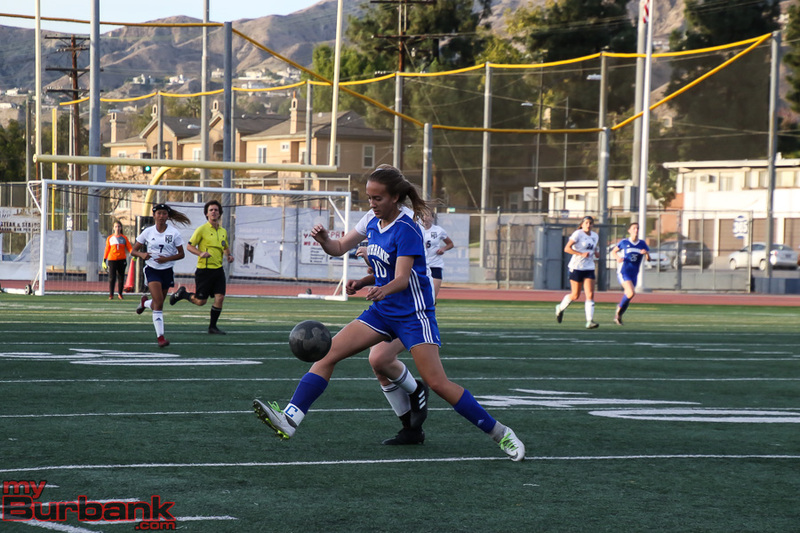 Cheney’s kick was stuffed in the 50th minute, Crescenta Valley junior Kathryn Thamasian’s 25-yard free kick in the 55th minute was off, Thamasian’s 32-yard free kick was blocked in the 57th minute and Ryan’s 30-yarder drifted wide right in the 58th minute. 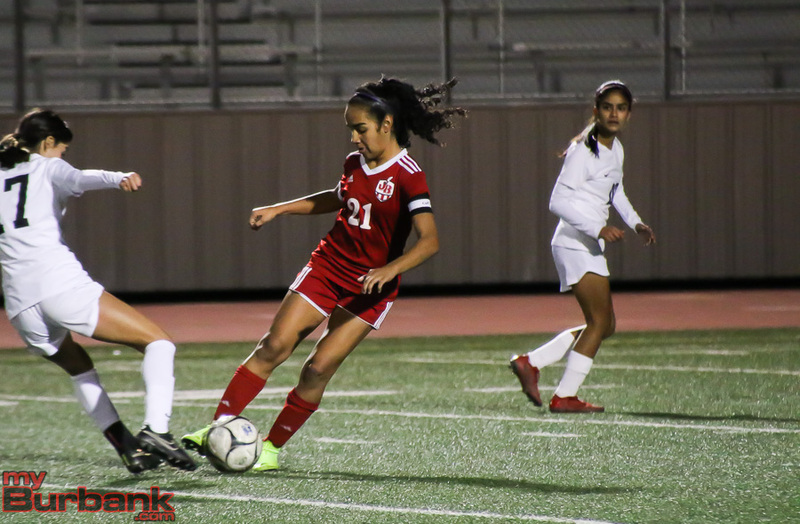 Gonzalez’s 25-yarder slid wide left in the 62nd minute, Ryan’s 10-yard header missed in the 69th minute and sophomore defender Gabby Morales had a 25-yarder in the 72nd minute for the Indians. 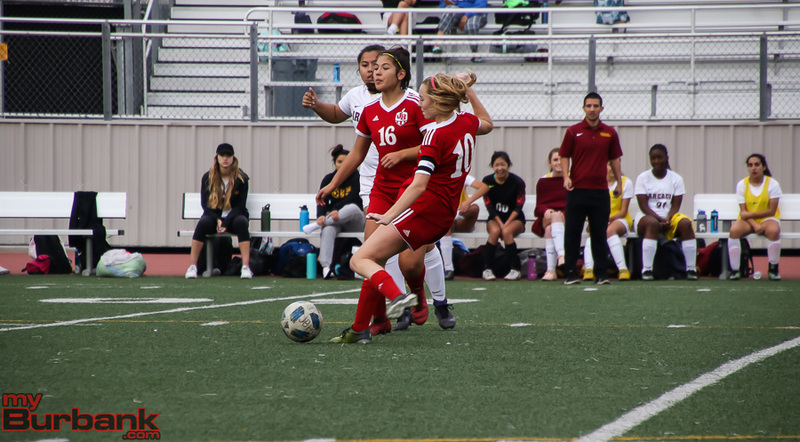 In the 73rd minute, sophomore Ashlin Cuesta’s 20-yarder failed for the Falcons and Bailey had a 25-yard header in extra time. 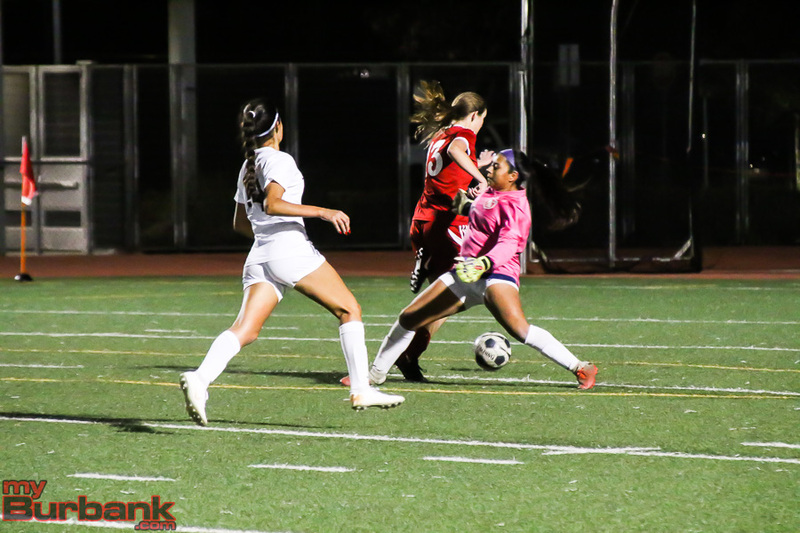 Freshman goalie Kaylin Casper was stellar in the net for the Indians, who will face Pasadena on Friday, Arcadia on Jan. 29 and Burbank on Jan. 31. 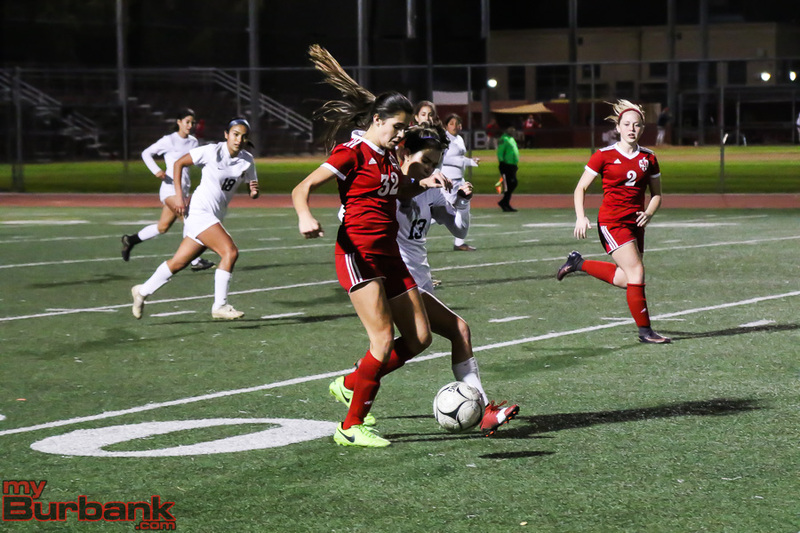 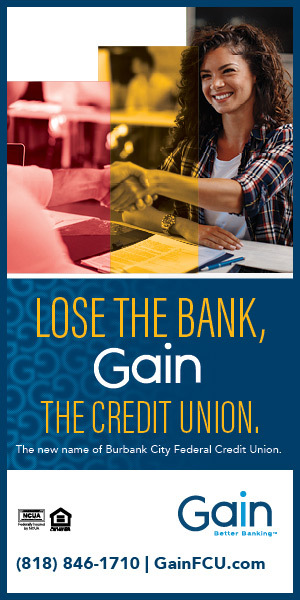 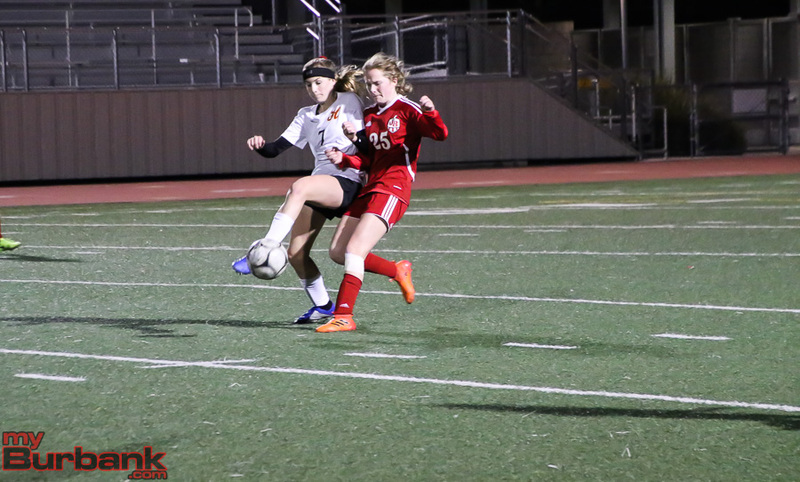 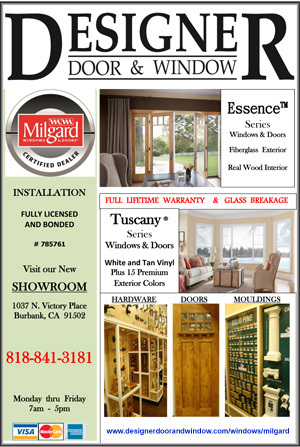 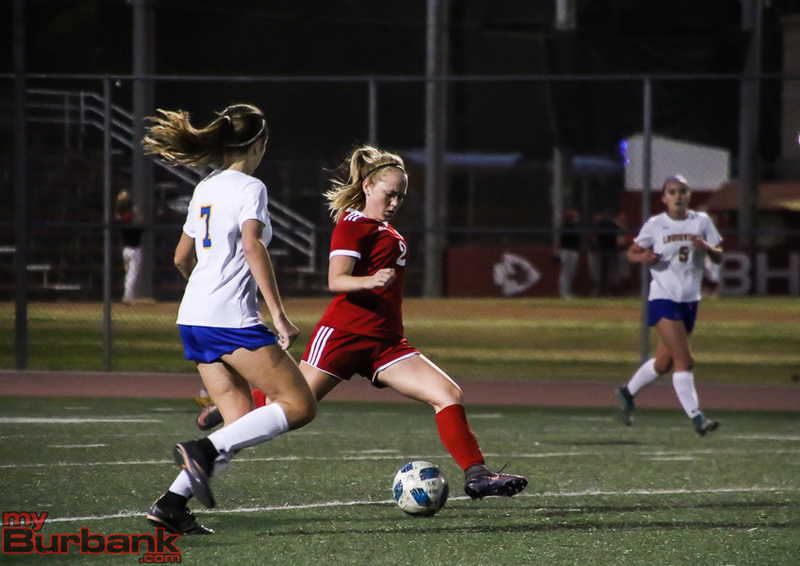 This entry was posted in Girls Soccer, Sports and tagged Abbie Riggs, Burroughs High, Gabby Morales, Girls Soccer, Kaylin Casper, Lauryn Bailey, Lily Gonzalez, Pacific League, Samantha Valencia on January 23, 2019 by Rick Assad.